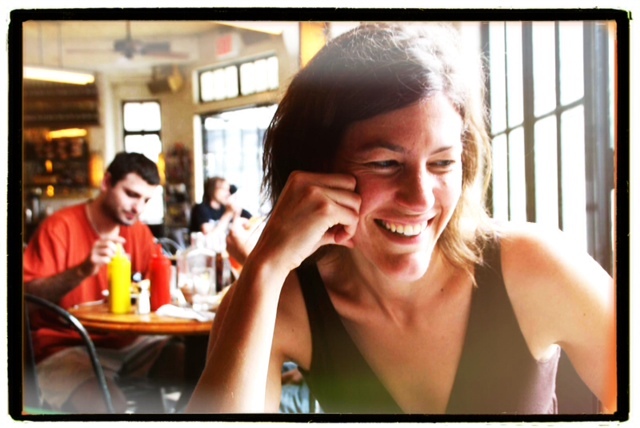 Rebecca Tarbotton is one of America’s most lethal environmental campaigners. She’s the Executive Director of San Francisco based RAN. The Wall Street Journal calls them the “most savvy environmental agitators in the business”. Treehugger calls them “a pack of jackals”, writing that “its campaigners jump on a target’s back and won’t get off until it submits”. Whenever we’re in the same city at the same time, Becky and I set the world to rights over cocktails. THE LESSON: This was my first full year as Executive Director of RAN, and for a good 6 months of the year, I felt as if I never ever had enough information to make good decisions. My predecessor and friend Mike Brune (who now runs the Sierra Club) said to me just as I was taking on the mantle of ED: “Everyone is now going to think you are smarter and funnier than you were before you were ED. Always remember, that you’re not”. I thought he was a little crazy at the time, but it’s been a huge lesson to realize that just by virtue of my position suddenly my opinion matters more (and apparently my jokes are way funnier too!). This was paralyzing for a while, until I realized that people don’t want to tap my expertise, but my thinking and my experience. I call it instinct, others call it strategy or analysis – whatever term you use, it’s not about knowing all the facts all the time, it’s about knowing what questions to ask. THE QUESTION(S): This is pretty nerdy and in the weeds, but my big question right now is ‘how do we pivot from running great corporate campaigns that truly do affect the way corporations do business to tackling some of the deep systemic flaws in our economic system…without losing any of the sharpness that makes our campaigns so effective?’. RAN is great (I mean really really good) at running corporate campaigns that both pressure and inspire corporations to voluntarily address the environmental and human rights impacts of their business model. For example, we’ve convinced most of the big US banks to phase out financing Mountaintop Removal Mining, we’ve successfully gotten old growth timber off the shelves of the major home improvement stores and have won commitments from most of the major US publishers to demand paper that doesn’t destroy Indonesia’s natural forests. These are big wins, and they all address very real and urgent problems that need to be dealt with immediately. But how do we ensure that all these victories add up to more than the sum of their parts? How do we parlay them into systemic changes that not only fight the fires but also transform the system so that the fires aren’t an inevitability, part of the system design, but only an occasional occurrence (how’s that for a tortured metaphor?). Another one: how to achieve scale without increasing size? The problems we’re facing (environmental, social) are enormous, but I rebel against the notion that we need to be bigger to be effective change agents. That said, we do need reach and impact and for that we certainly need to be of a scale equal to or bigger than our opponents. if the goal is to have a large scale and if that can be achieved through networks, how do we overcome the silo’s of organizational self-interest to collaborate effectively? THE INSPIRATION: We gave Naomi Klein (author/activist) an award this year at our annual fundraising event. In her acceptance speech talking about the Occupy movement she said: “We are more popular than we ever imagined”…and she’s right. The question is, what does it look like to start behaving that way?